It is with great sadness that the family of the late Marion Simms announce her passing on October 05, 2018 at the age of 86 years, at Curtis Memorial Hospital, St. Anthony. Marion was born on January 11, 1932 to Olive and James Herritt in Muddy Hole, Hermitage Bay, NL. At a young age her family moved to Corner Brook where she met her husband of 68 years, Allan Simms. Allan and Marion settled in St. Anthony, what she called the best part of the world. They were blessed with 6 children, 14 grandchildren and 8 great-grandchildren. Marion enjoyed the little things in life, counted her many blessings and was appreciative of nature. She had a sincere smile and a beautiful personality. She enjoyed watching sunsets, tending to her trees and flowers, and swinging in her backyard. Marion was creative and artistic and she will be remembered for her silly gestures, limericks, rhymes and poems that she often wrote herself. Marion enjoyed knitting, reading, playing games with her friends and rocking in her rocking chair. Marion was a loving mother and grandmother, a faithful servant of God and a loyal friend to many. She will be lovingly remembered by all who knew her. She leaves to mourn with fond and loving memories her six children, Shirley (Max Mullins), Angela (James Colbourne), Allan, Maureen (Henry Smith), Roddy, Roger (Lillian Simms), 14 grandchildren; 8 great grand-children; Sisters, Emily Bailey, Geraldine Hicks; Brother-in-law, Bruce Hicks; Sister-in-law Ella (Simms) Burden as well as a large circle of family and friends. She was predeceased by husband Allan, parents Olive and James Herritt, sisters Bessie Bailey and Margaret George, Brother Jeremiah Herritt, Grandson Jeremy Smith and Daughter-in-law Kim Simms. Visitation took place from Kerry M. Fillatre’s Funeral Home, St. Anthony. The funeral took place on Monday, October 8, 2018 from St. Mary’s Anglican Church, St. Anthony at 2:00 pm officiated by Catechist Arthur Kinsella. Interment followed at the St. Anthony Anglican Cemetery. Funeral arrangements entrusted to Kerry M. Fillatre’s Funeral Home, St. Anthony and Roddickton, Lee Nippard, Funeral Director. Passed away October 1, 2018 from the John M. Gray Center in St. Anthony at the age of 81 years. She leaves to mourn with a lifetime of fond memories, her Brother Michael Mahar; Children, Jessie Gould (Pius), Rosalie Pittman (John), Mark Kennedy (Diana), Agnes Caines (Romeo), Lyman Kennedy (Marie), John Kennedy (Audrey), Howard Kennedy (Donna), Robert Kennedy (Kerri); Grandchildren, Merle Pittman (Sharon), Sheldon Gould (Dale), Ayeshea Pittman (Stacy), Enis Caines (Andrea), Melissa Chambers (Maurice), Ranil Kennedy (Felicia), Deanna Myers (Andre), Paul Kennedy (Breanna), Andy Kennedy (Katie), Wade Kennedy (Hilary), Kendra Kennedy (Liam), Robyn Kennedy, Adam Kennedy; Greatgrandchildren, Zackary Gould, Lauren Pittman, Brody Pittman, Ella Caines, Sadie Kennedy, Michael Myers, Brooke Kennedy, Aliana Gould, Blair Kennedy, Marcus Kennedy, Evan Kennedy, Kyle Kennedy, Milan Myers; Sister-in-law, Imelda Mahar; Brothers-in-law, Aloysius Kennedy, Pat Kennedy, Chris Kennedy, Jake Toope, as well as a large circle of extended family and friends. Isabella was predeceased by her parents, Catherine and Michael Mahar; Husband, Mark; Daughter, Lorie; Son, Dale; Sisters, Evangeline Caines, Catherine Mahar, Agnes Kennedy; Brother, Christopher Mahar; Sisters-in-law, Betty Mahar, Mary Mahar, Neila Mahar; Brothers-in-law, Luke (Evangeline), John (Agnes), Wes Kennedy Jr., and Dorman Kennedy. Visitation was held from Our Lady of Grace Roman Catholic Church in Bird Cove from where the funeral was held on Thursday, October 4, 2018 at 2:00 pm with Fr. Rossi officiating. Interment followed. Funeral arrangements entrusted to Kerry M. Fillatre’s Funeral Home, St Anthony and Roddickton, Alicia Patey Funeral Director. It is with great sadness that the family of the late Marion Julia Bungay announce her passing on Sunday, September 23, 2018. Marion leaves to mourn her Daughters; Rosalind (Bill Barney), Phyllis Bungay, Darlene (Melvin Pearce), as well as “daughter by another mother” Melina Ropson; Sons, Frank Bungay, Eric (Charlene), Leon (Daisy); Grandchildren, Sylvia, Colin , Mark, Kelsey and Sammie, Cody and Travis; Greatgrandchildren, Patrick, Shayna, Dakota, Mckenzie, Cameron, Tegan and Jeremy, Carly, Carter, Charlee and Sophia’ and one Great-greatgrandchild, Rhyder. Marion was also a Grandmother figure to Mary Louise and Madelyn, Michael and Dawn as well as Cassandra and Brandon. Also left to mourn are Sister Maude (Alf Larkin), Sister-in-law Madeline Bungay, Brother and sister in law Harold and Hilda Bungay, sister in law Edna Ford and Dear friends Pricilla Parrill, and Gary and Madonna Chaulk. She was predeceased by husband Samuel, Brother Simeon, and Grandchildren Nathan and Andrew. Visitation took place from Kerry M. Fillatre’s Funeral Home in St. Anthony. The funeral was held from St. Mary’s Anglican Church in St. Anthony on Wednesday, September 26th, 2018 at 11:00 am with Rev. Katie Flynn officiating. Interment followed. Funeral arrangements entrusted to Kerry M. Fillatre’s Funeral Home, St. Anthony and Roddickon, Lee Nippard Funeral Director. Passed away September 12, 2018 from the Corner Brook Long Term Care Center at the age of 86 years. She leaves to cherish memories her children; Garfield (Bard) Canning, Craig (Donna) Canning, Una (Melvin) Hoyles, Cathy (Barry) Brown; as well as a number of Grandchildren, Great-grandchildren, Great-great Grandchildren and other extended family and friends. Mabel is predeceased by her husband Alfred Canning and her Daughters, Juanita Canning and Muriel Baker. Visitation was held from the Calvary Pentecostal Temple in Roddickton from where the funeral was held on Sunday, September 16th, 2018 at 11:00 am with Pastor Benjamin Brown officiating. Interment followed in the Pentecostal Faith Cemetery. Funeral arrangements entrusted to Kerry M. Fillatre’s Funeral Homes, St. Anthony and Roddickton, Lee Nippard Funeral Director. Passed away August 22, 2018 at the Charles S. Curtis Memorial Hospital in St. Anthony at the age of 95 years. Caleb was born in Billy’s Harbour and moved to Cook’s Harbour as a young man. He fished up until his late thirties. Then he went to work with the Department of Highways where he stayed until his retirement after 22 years. Caleb loved the outdoor life and spent as much time as possible hunting, fishing, or just boiling the kettle. As long as he was outside he was happy. He will be surely missed by all his friends and family. May he rest in peace. Caleb leaved to mourn his Brother, Amos (Faye); Sisters, Millie and Rachel (Allan); Brother-in-law, Wesley as well as a long list of nieces, nephews, and close friends. A special thank you is extended to Caleb’s closest friends who were always by his side, Mae Richards and Bob Mesher and families. Caleb was predeceased by his Wife, Cornelia; Parents Bertram and Priscilla; Sisters Eliza, Edith, Dora, Yvonne, and Gladys; Stepmother Maude; Nephew Lorne; Great-nephew Dillon; and Brother Oswald. Visitation was held from St. Matthew’s Anglican Church in Cooks Harbour from where the funeral was held on Saturday, August 25th, 2018 at 2:00 with The Right Reverend John Organ officiating. Interment followed. Funeral arrangements entrusted to Kerry M. Fillatre’s Funeral Home, St. Anthony and Roddickton, Alicia Patey Funeral Director. 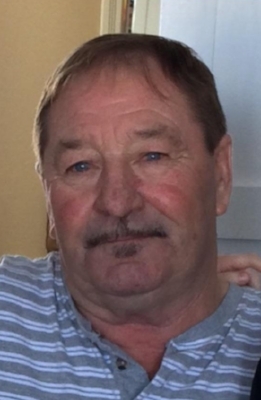 Passed away at the Rufus Guinchard Health Centre in Port Saunders on August 10, 2018 at the age of 68 years. Melvin was born on March 25th, 1950 to George and Alma Baines. He met the love of his life Olga Coombs 40 + years ago; together they raised one child, Lars until her passing in November 2014. He loved the outdoors, hunting, and most of all his Grandsons, Bo and Reid. He will be surely missed by all who knew him. Melvin leaves to mourn his Son, Lars (Thelma); Grandsons Bo and Reid; Siblings George (Liz), Hayward (Jessie), Olga (Albert), Augustine, Kay, Joyce (Jim), Iris (Lambert); Sister-in-laws Dorcas, Shirley as well as many cousins, nieces, nephews and other extended family and friends. He is predeceased by his Life Partner Olga; Parents George and Alma; Siblings Noah, Leander (Lucy), Wilfred (Theresa), Virginia (Nathaniel), Harold; and Brother-in-laws Les and Harvey. The funeral was held on August 16th, 2018 at 2:00 pm from St. Margaret's Anglican Church in Reef’s Harbour with Rev. Claire Stewart officiating. Inurnment to take place at a later date. Funeral arrangements entrusted to Kerry M. Fillatre’s Funeral Home, St. Anthony and Roddickton, Lee Nippard Funeral Director.